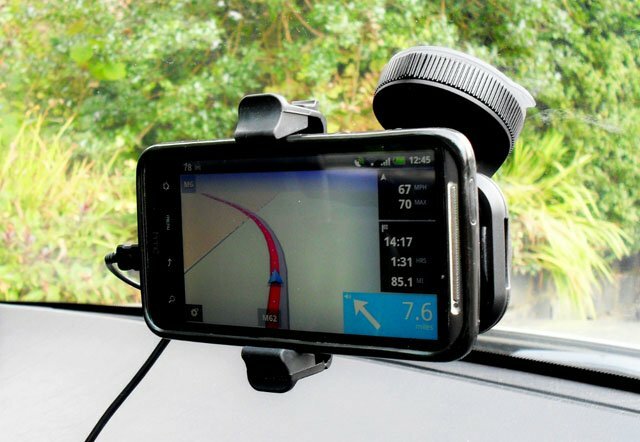 A TomTom satnav app has been available for iOS since 2009 and its success has not just been due to the software but also to the bespoke iPhone windshield mount. Android users have now been let in on the deal thanks to the launch of an Android app and a generic smartphone version of the screen mount. 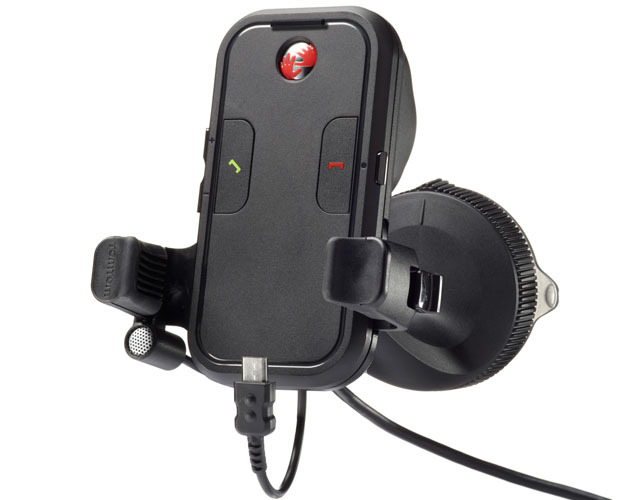 TomTom has often been criticised for the cost of the windshield mount and at nearly £80 it’s certainly not cheap but you do get a versatile bit of kit for your money. To start with it has a very capable built-in 2W speaker together with a microphone featuring active noise cancellation and echo reduction. 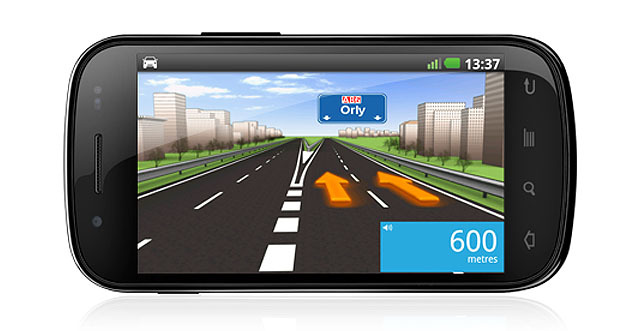 Not only does this mean you can hear navigation prompts far more clearly than if you were relying on your phone’s loudspeaker but it also lets you make hands-free telephone calls, even at high speed, without having to shout. Usefully the mic is attached to a cable rather than being built into the mount. TomTom provides a 1.5m extension lead, so as well as clipping it to the dock you can attach it to any convenient part of the car closer to your cakehole. Thanks to the USB/microUSB pass-through charger you can power the dock from either your car’s 12V socket or a domestic mains USB adapter. This means you can also use the dock as a desktop hands-free charge cradle, a role it performs very well. This flexibility should not be overlooked. The mount itself is a solid bit of kit with a very flexible ball and socket assembly while the turn-collar suction cup works a treat. By dint of a clever rotating mechanism the handset cradle can hold phones in either landscape or portrait by gripping the top and bottom or the sides. No matter how big your phone or where the microUSB socket it should fit.